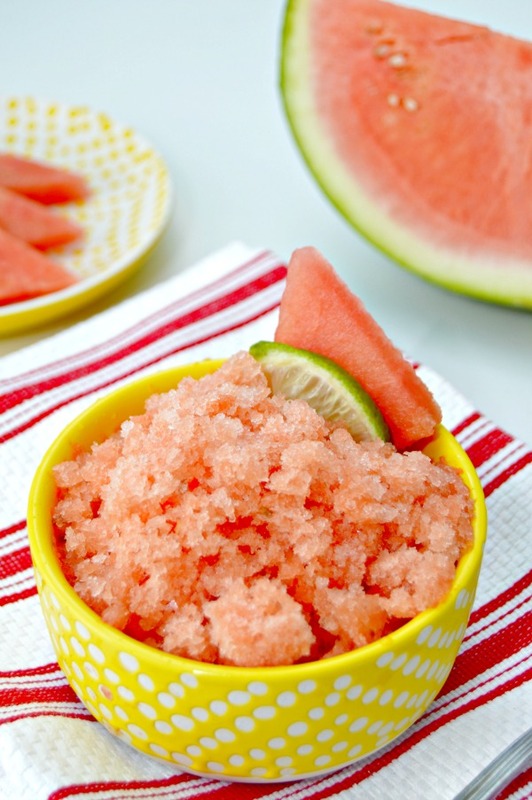 This watermelon granita recipe makes is so delicious! It’s super simple to make and this recipe doesn’t include sugar. I like to use agave nectar for mine instead. This is a great make ahead dessert for a cookout or just to enjoy on a beautiful spring or summer day. 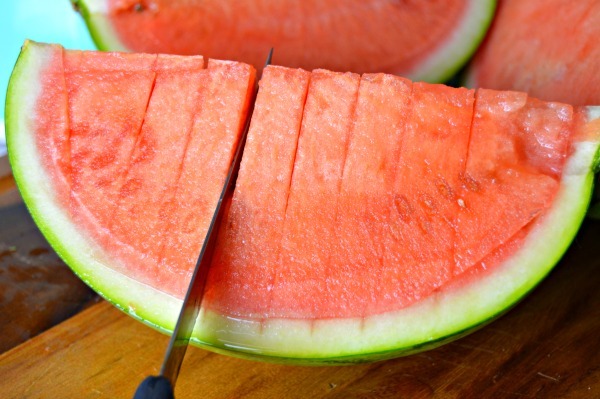 I start by cutting a seedless water melon. 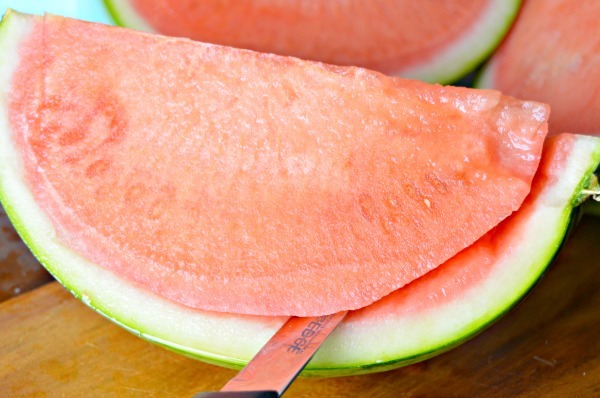 To remove it from the rind easily, simply cut your watermelon into quarter and run a knife from one side to the other, cutting along the rind. It should glide right through the watermelon with ease. Next, cut it in slices while it is still resting in the rind. 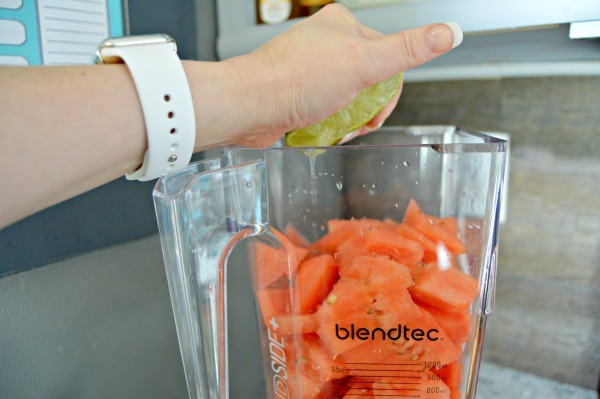 You can enjoy nice watermelon slices this way or add them to your blender to make your watermelon granita. 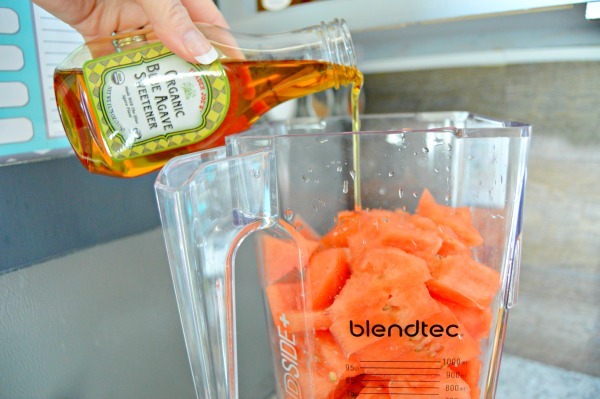 Add your watermelon slices to your blender, then add the juice of one lime or lemon. I prefer lime in mine. Now add two tablespoons of agave nectar. I love the natural sweetness of agave instead of sugar. 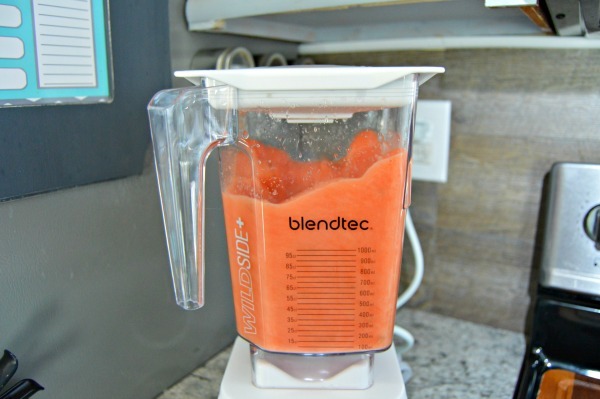 Now, blend until mixed to a slushy consistancy. 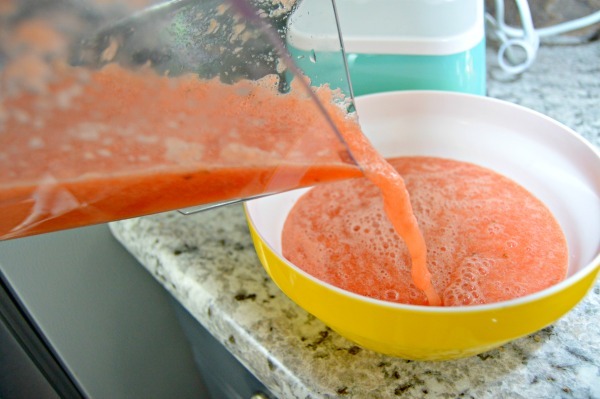 Pour the slushy mixture into a bowl or shallow baking dish and freeze for at least 3 hours. 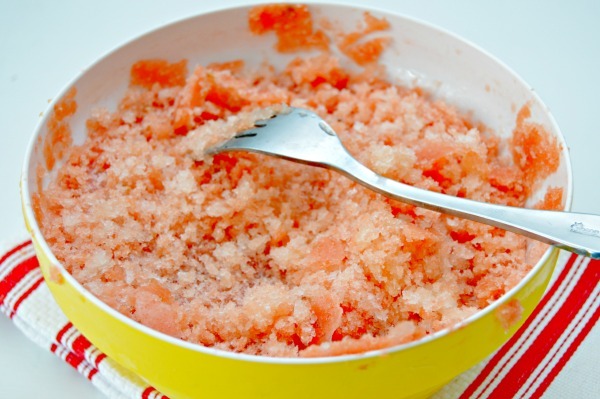 Once it is frozen, use a fork or spoon to scrape the mixture, making it into granita…which basically means frozen fruit slushie. 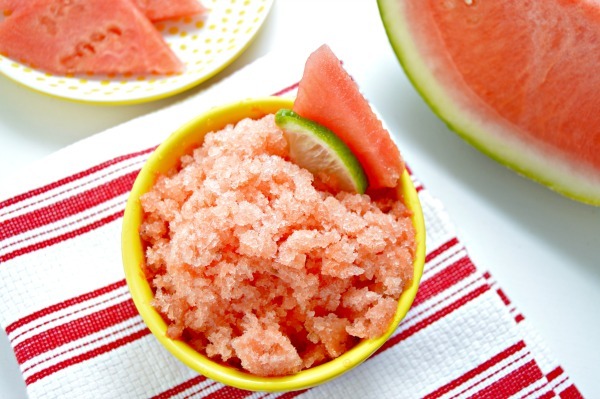 Serve in small bowls with a slice of watermelon and a spoon! Trust me…this dessert is worth the wait and so satisfying and healthy too! Thanks for sharing Jessica! Great option for this hot autumn in Rio (Brasil)! I can not find agave sweetener/nectar in Sweden. What can I use instead?